Good Day Revolutionaries!! The summer keeps rolling on and we find ourselves doing better than ever. This is in part to all the great people we are meeting out there. On one of our small journeys, we were shown a chip that is moving up our charts in the favorite snack category. It is a company whose name says it all. Food Should Taste Good was founded by Pete Lescoe. Mr. Lescoe worked in the food industry most of his life and realized that food tastes best when made with quality ingredients and thoughtful preparation. 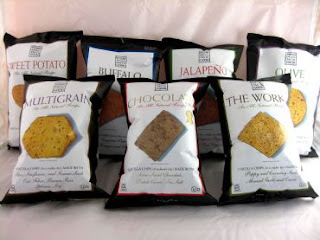 This simple idea led him to create his line of chips from all natural ingredients. Pick up a bag and check it out. You will have heard of every ingredient in the bag. No crazy chemicals and food dyes. Next time you make your favorite Guacamole or Salsa go get bag of Food Should Taste Good Chips. You wont regret it!